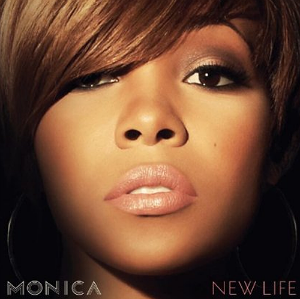 After a two-year hiatus, R&B entertainer Monica is back with her latest album, New Life. Featuring collaborations with music heavyweights Jermaine Dupre, Missy Elliott and others, New Life blends the soulful R&B ballads and club-worthy hip-hop beats that help define Monica's 17-year career. And speaking of her musical tenure, Monica reunites with Brandy on "It All Belongs to Me," a grown-up women's anthem reminiscent of the duo's 1998 smash hit. With equal amounts of soul and sass, Monica's New Life is the perfect post-work banger. New Life hits store shelves April 10. Previous recommendation: Lionel Richie Back With New Music.